Please ask about our accommodation gift vouchers. Gift vouchers can be tailored to your requirements and are the perfect special occasion gift! Our accommodation packages include both weekend and midweek escapes and getaways. All accommodation packages include cooked breakfast served to your suite each morning or breakfast provisions provided if staying in a Theme Cottage. Breakfast hamper for Cottages or fully cooked breakfast delivered to your B&B suite each morning. Single entry for you and your partner to the Bath Houses at Peninsula Hot Springs, directly opposite Hilltonia. Must mention offer at time of booking - excludes public holidays. 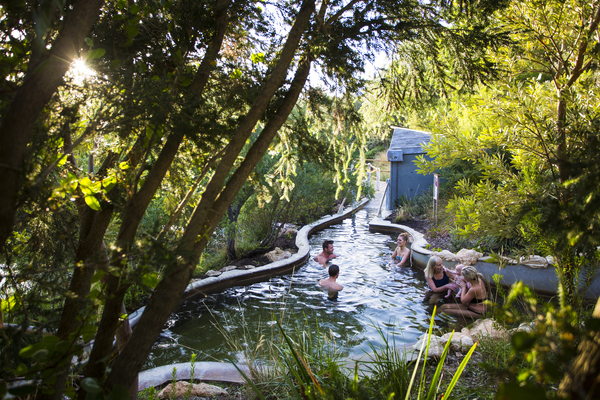 see Peninsula Hot Springs for general information. Lunch and wine tasting at T'Gallant winery. One-hour relaxation massage for two. Lunch or late lunch at the Hot Springs Café for two. Dinner for two at a local restaurant on one night. Note: Subject to Peninsula Hot Springs availability. Bookings required 6-8 weeks in advance for weekends. completed in the privacy of your suite or cottage.